Ida’s passion is designing for people. The projects she have been most proud of being part of, are the ones that have succeeded in changing the way we think. The designs that challenges our habits and routines and make us think and act differently. She always strives to identify herself with the user throughout the design process, because user driven innovation for her is the key to creating relevant design. Her main field of interest are within social innovation, service design and user driven research; with the belief that good design can change the way we live. But in order to make it happen, we must keep hold of our naivety and curiosity and never stop exploring. To do so is her biggest ambition. IB: In the world I want to live products use phases are circular and not linear. The waste of a used product is the fertilizer of a new one. We are not embarrassed by our waste, we are proud of it. The world is diverse and in balance. IB: The danish scientist Tor Nørretranders has wrote a book called “The User Illusion” about consciousness and emergent politics. This book made me aware of the power of naivety. IB: The paradigm shift from More to Better (the organic paradigm) is something that we all can execute every day by “voting with our feet”: If we decide to just do something a little bit better every single day the will be a better place. 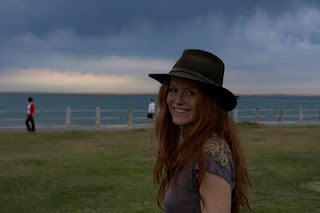 Please check out Anne Skare Nielsen from the danish company Future Navigator by using this link. IB: I am a part of a danish independent center-left think tank called Cevea that develops progressive ideas based on the values of equality, freedom and community.